I received an Amazon package the other day, and instead of plastic air puff it was filled with one very long strip of brown paper. It looked a lot like those rolls you can buy for your kids to color that I never buy as I can’t figure out where I would store it. 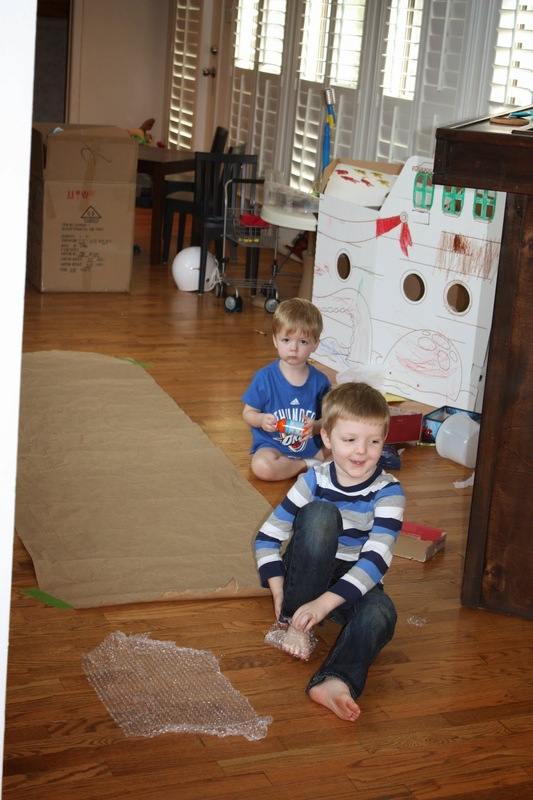 However, I had seen a link for bubble wrap stop painting which I stored on my Activities for the Boys board and thought that would be the perfect activity for this giant paper. 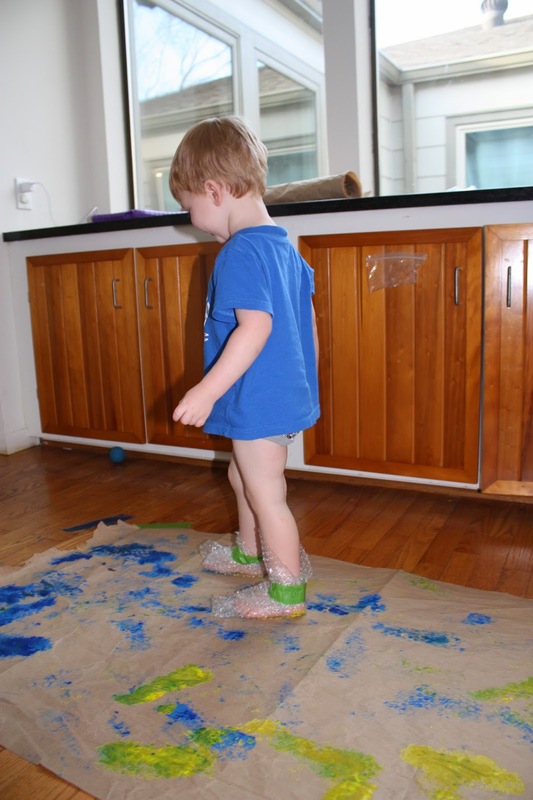 I taped the paper to the floor and got ready to tape bubble wrap to their feet. James desperately needed a haircut and pants in these photos. 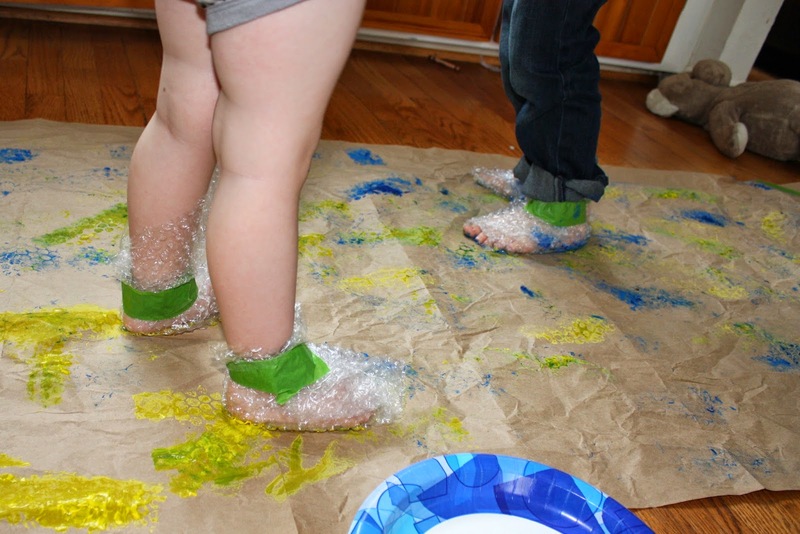 I put paint into paper plates and they took turns stepping in the plates, and having me paint the bottom of their feet. Not the cleanest of activities, but it did last a while. And Zach got to where he just did it all himself. Squirted more paint in the plates, stomped, then marched around on the paper. 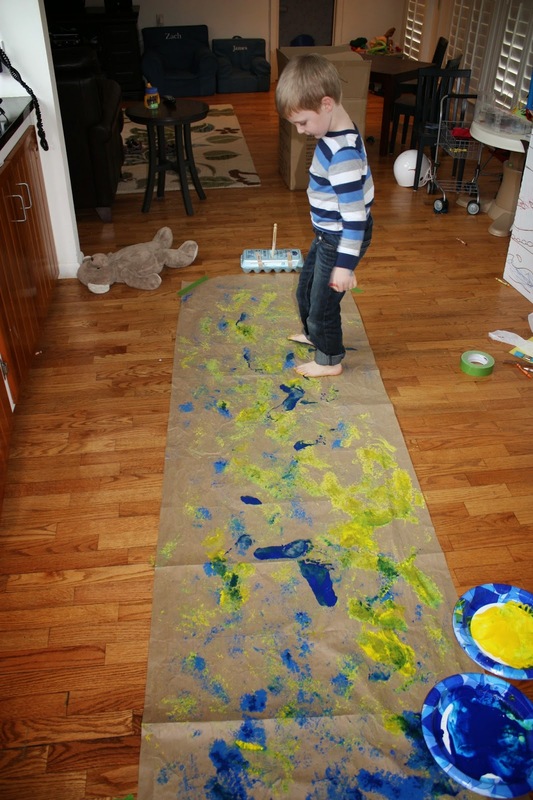 Since I used washable tempura, whatever did get on the floor, came up really easily with a quick mop. 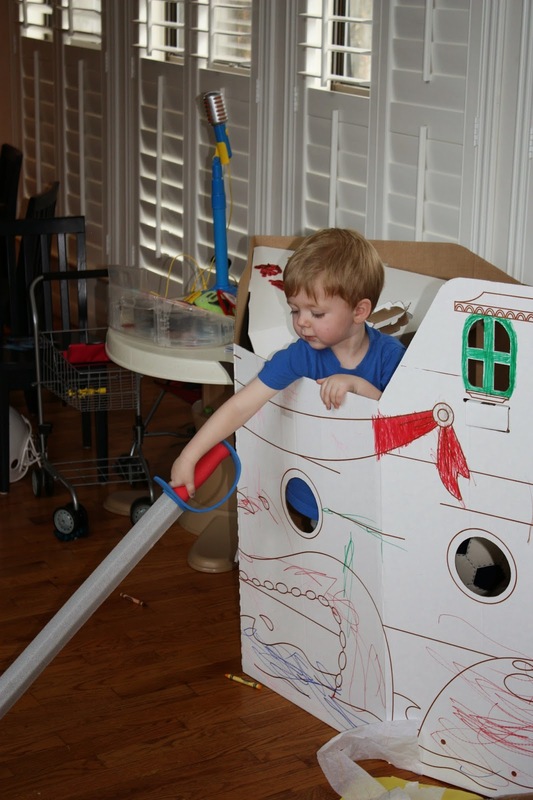 James lasted a few stomps then went back to playing pirate and trying to sword Zach whenever he came close. 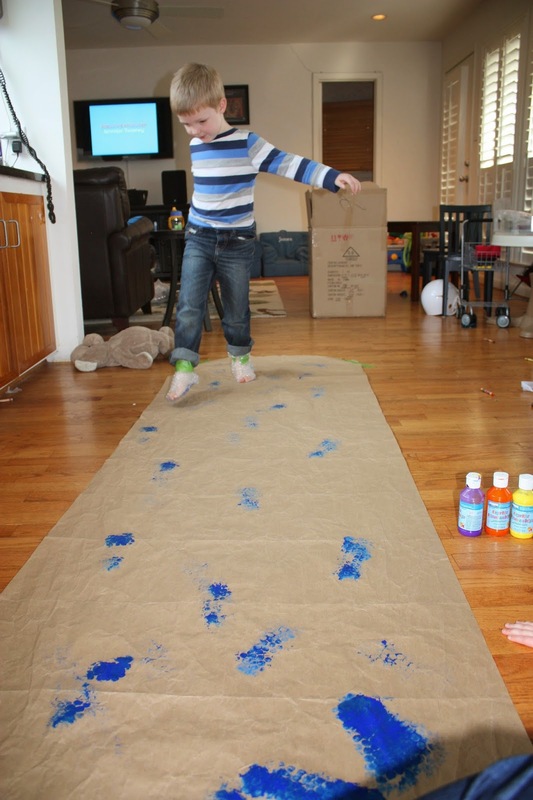 I have some of the paper left and we are for sure doing this again during the summer. I might let them each have their own paper and see if I can make it last a big longer. Once it dried I let Zach cut shapes out of it to tape up in his room. Trash to treasure, people. Love it! I especially love the fact that James was pantsless and was “swording” Zach 🙂 My crafty girls will love this!